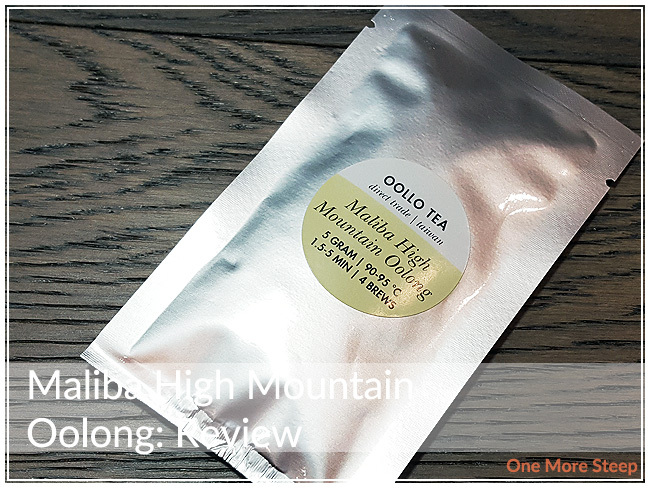 Oollo Tea has provided me with Maliba High Mountain Oolong for the purposes of providing an honest review. I received this product at no charge to me and received no other compensation. Oollo Tea’s Maliba High Mountain Oolong is a 2015 spring harvest, and from the Maliba area of Nantou, Taiwan. I quite like the fact that they provide information of various teas. I ripped open the package of Maliba High Mountain Oolong and it kind of slipped out onto the table – graceful, I was not. Maliba High Mountain Oolong has this very light floral fragrance, mixed with something that reminds me of the ocean – just the salt water smell that you can experience when you’re by the ocean. Maliba High Mountain Oolong is dark, tightly rolled, and I’m very curious about how it will unfurl when steeped. This is a straight oolong tea from Taiwan that was grown at an elevation of 2000m. Oollo Tea recommends steeping Maliba High Mountain Oolong at 90-95°C (194-203°F) for 1.5-5 minutes. I steeped 2.5g of Maliba High Mountain Oolong in 195°F water for 2 minutes. 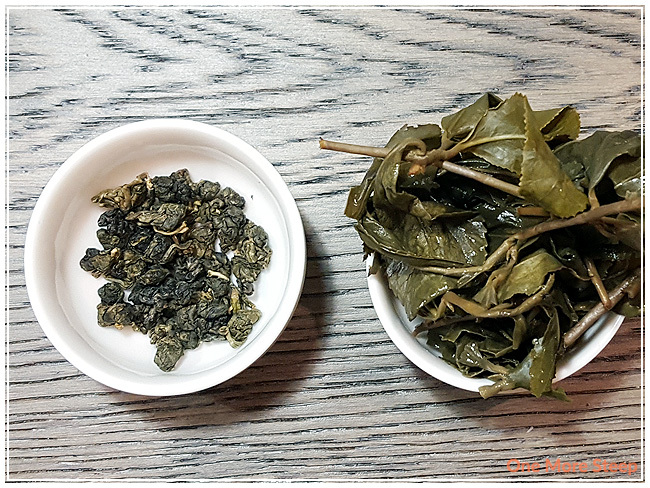 Maliba High Mountain Oolong steeps incredibly pale in the first steep, a very pale yellow. There aroma of the tea has strong floral notes. When I sipped the oolong for the first time, Maliba High Mountain Oolong has a nice sweet floral note, with just a touch of saltiness. The salty notes of the tea adds a bit of umami quality to the tea, the savoury notes mingles well with the sweet floral notes. 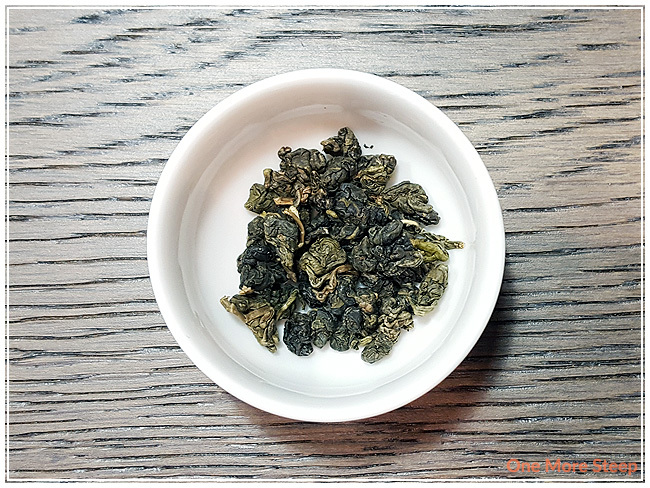 The complexity of the flavour profile in Maliba High Mountain Oolong is a delight on the tongue. I resteeped Maliba High Mountain Oolong a grand total of seven times, adding an additional 30 seconds per steep. The floral becomes a bit more subdued throughout the steepings, and the savoury notes become more prominent. I found that the flavour was most intense for the first resteep, and it remained fairly strong until the very end. Maliba High Mountain Oolong unfurls and opens up an amazing amount. The unsteeped tea is 2.5g and the steeped side is also 2.5g – look at how much it opens up! I’m always amazed at how much the tea leaves will open up when it’s steeped. 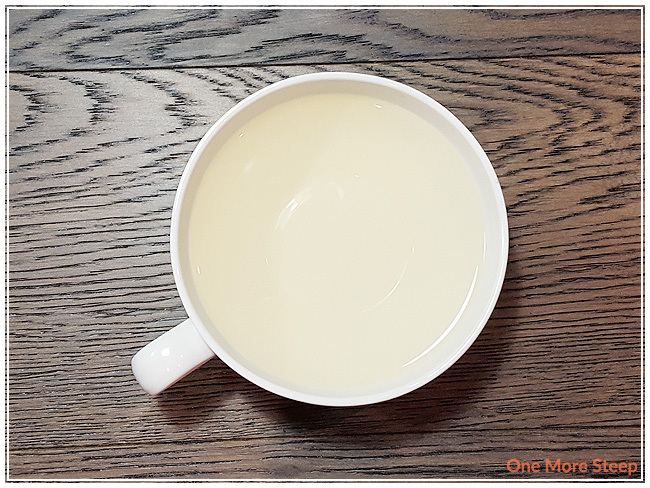 I loved Oollo Tea’s Maliba High Mountain Oolong. I love the sweet-savoury aspect of the initial steep of this oolong, and also how the tea gets more savoury with each additional steep. The oolong has a great flavour, and I love the fact that it can be resteeped so much. The umami flavour is great, and I love that it’s affordably priced, especially considering how well it resteeps.